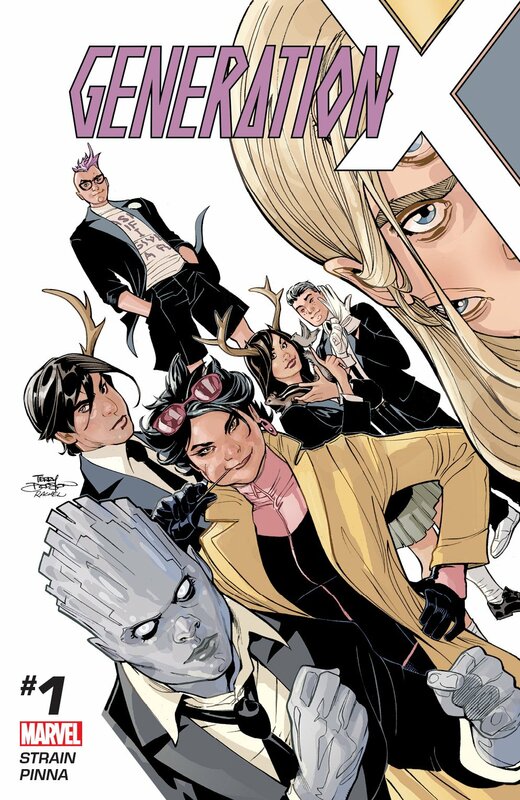 Here's a look at my new cover assignment, Generation X from Marvel Comics! 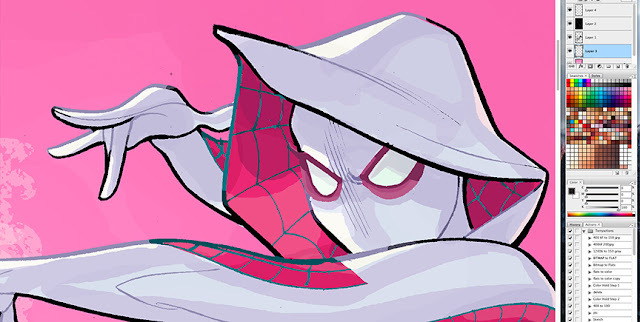 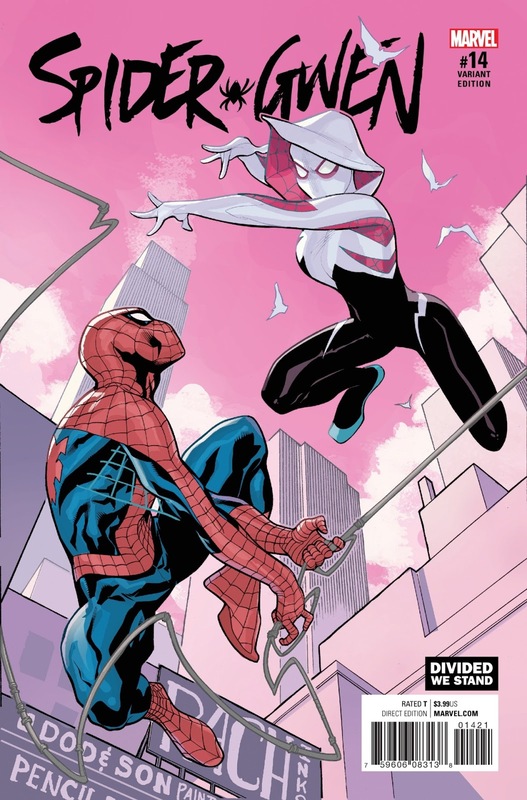 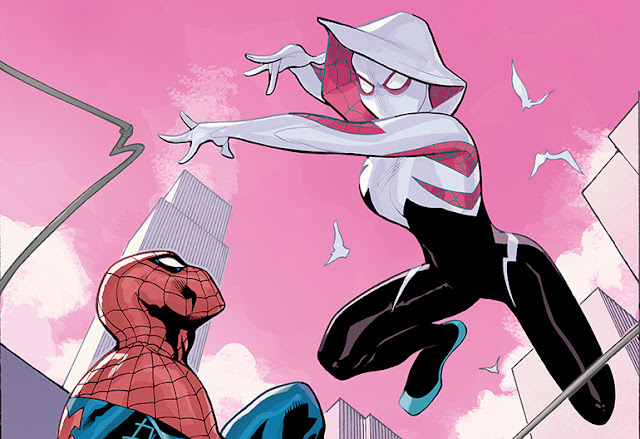 Out today from Marvel Comics! 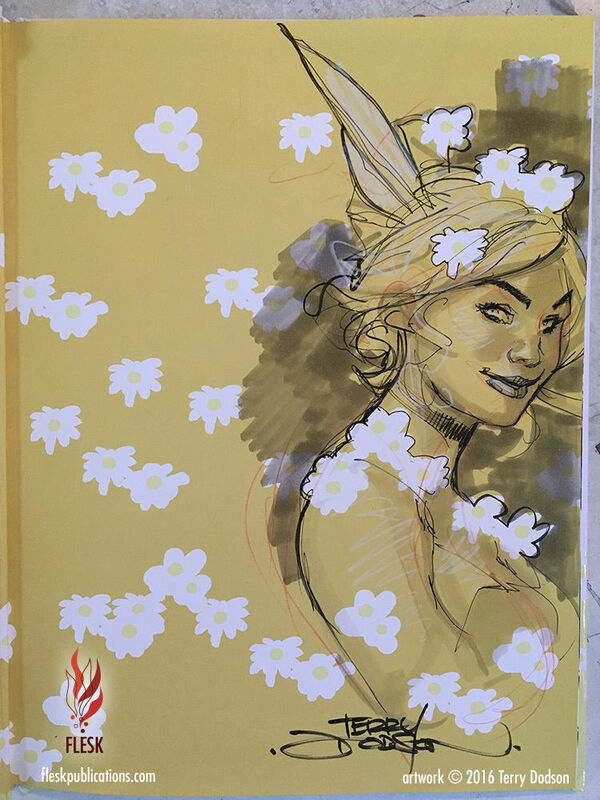 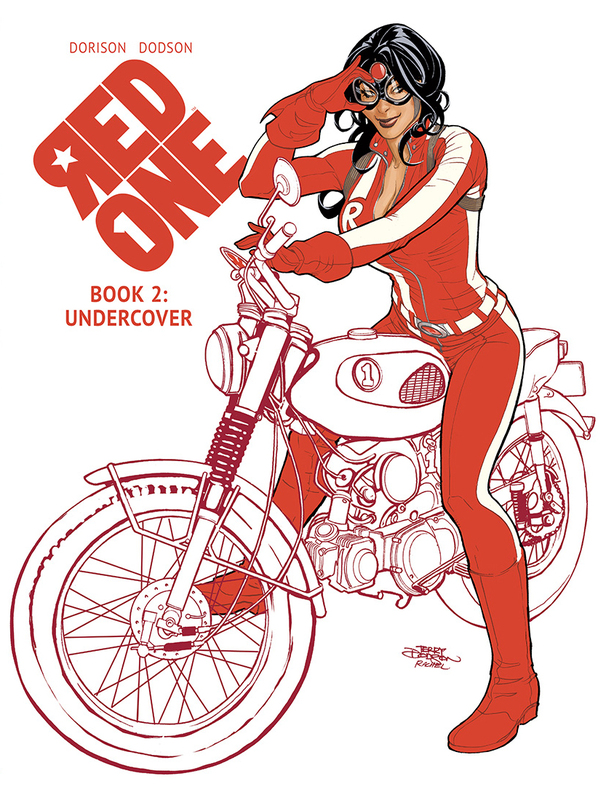 The 64 page Hardcover collection for Red One Book 2: Undercover is available for Pre Order. 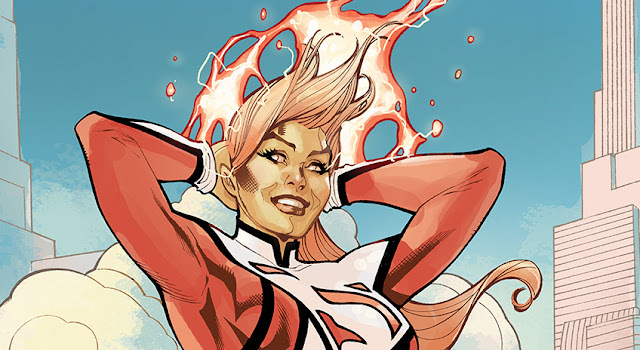 It contains the 52 pages of story from Red One #3 and #4 plus 8 pages of extras - all collected in an oversized European style hardcover the way the story was meant to be read! 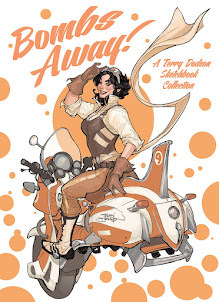 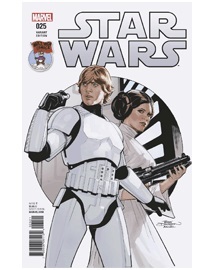 Ships January 17th from Image Comics! Step by Step making of the cover coming soon! 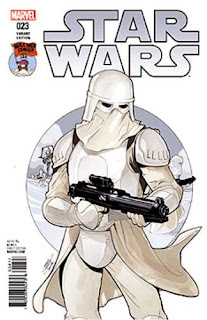 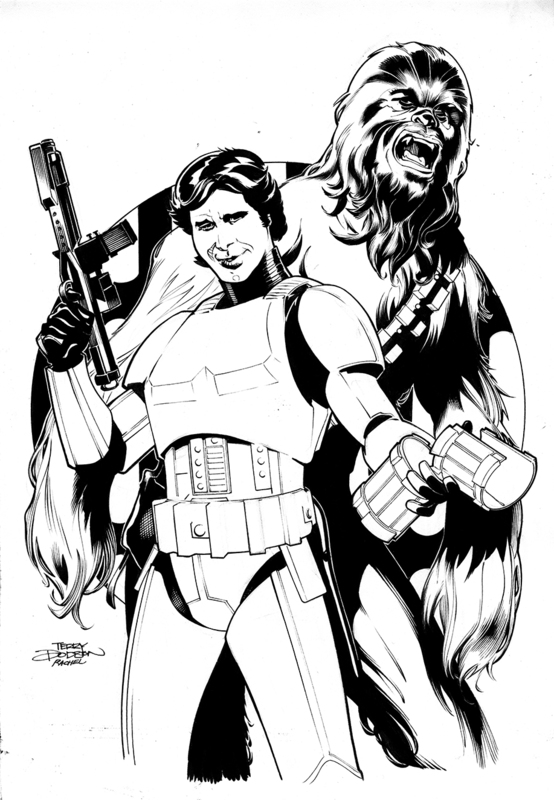 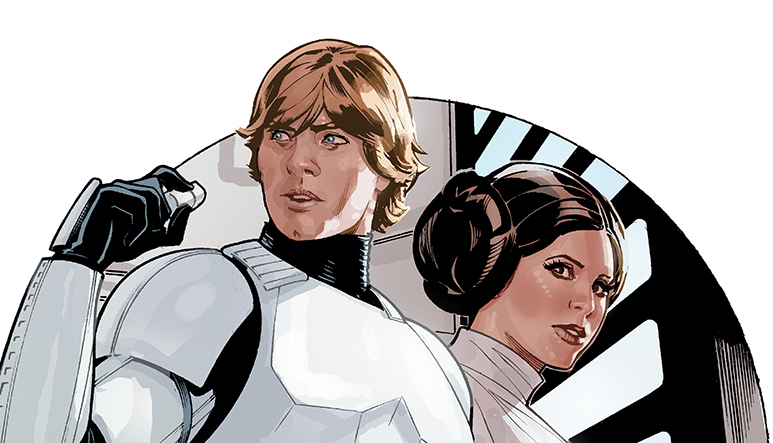 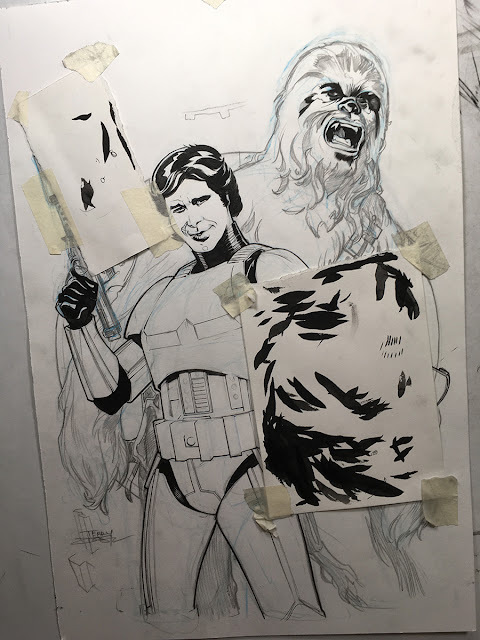 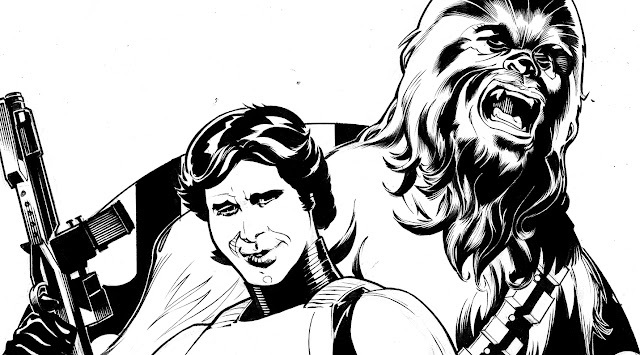 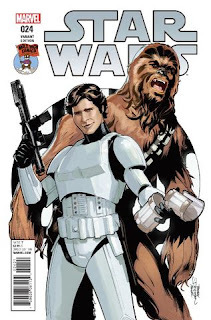 Here's a look at how we made this Star Wars 24 Cover - out in stores now! Rachel Dodson inks directly over my pencils. Rachel inks with a Winsor Newton Series 7 #2 Finest Sable Brush and Higgins Black Magic Ink. Rachel then focused on Chewbacca. 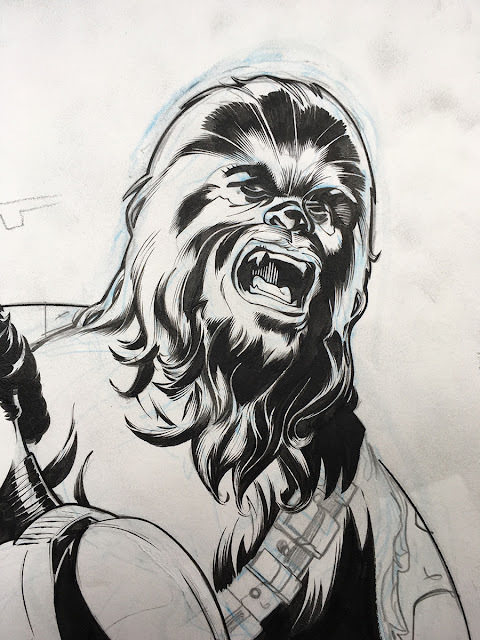 I love how she handled Chewie's hair -nailed it! 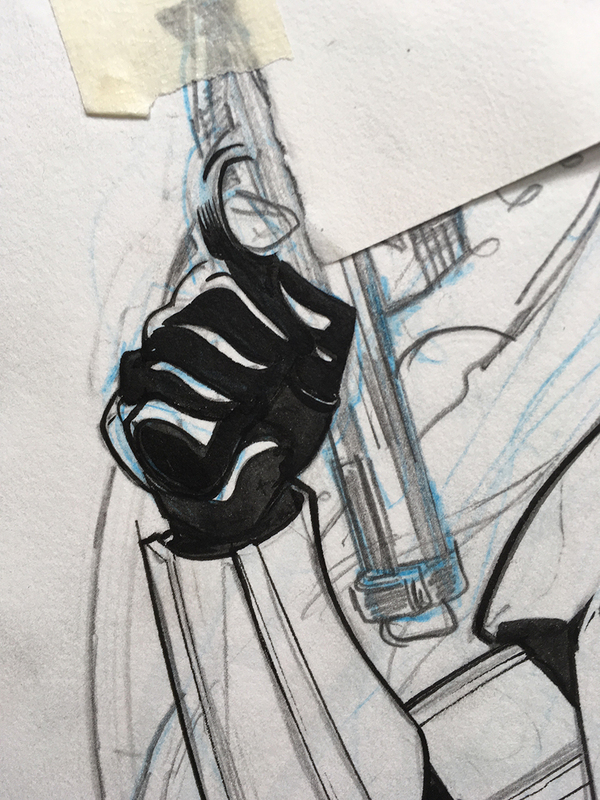 Once Rachel is done inking, I scan the artwork on my EPSON Expression 11000XL Scanner and then clean up and prepare the art for color in PHOTOSHOP. A look at putting the final touches on this Black Bolt image. Using Photoshop CS3 and Wacom Cintiq 22HD to color this image digitally. 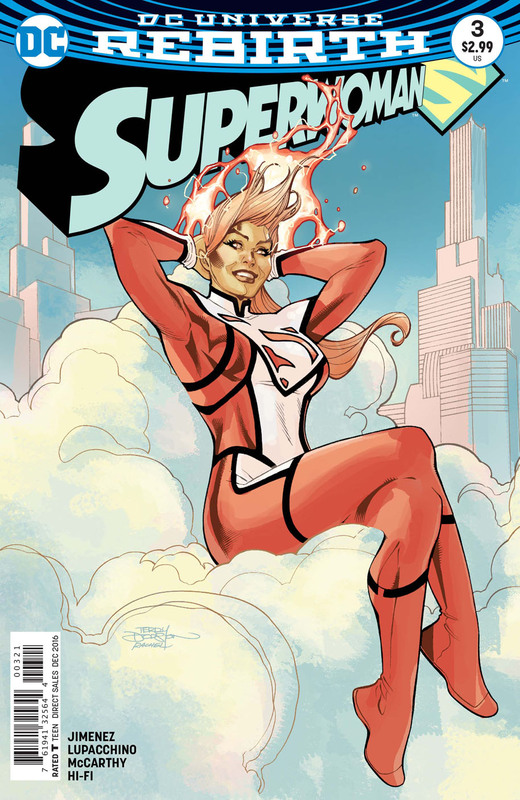 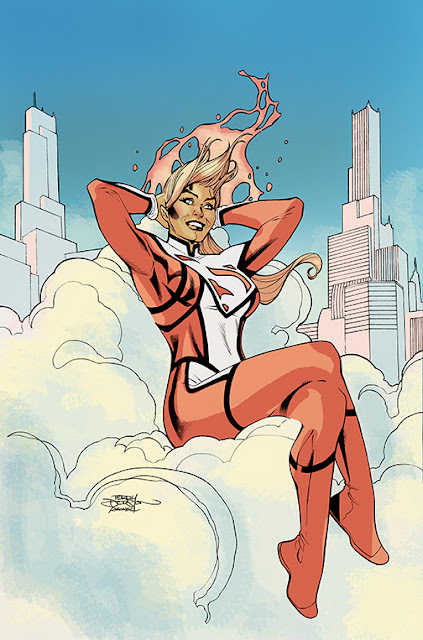 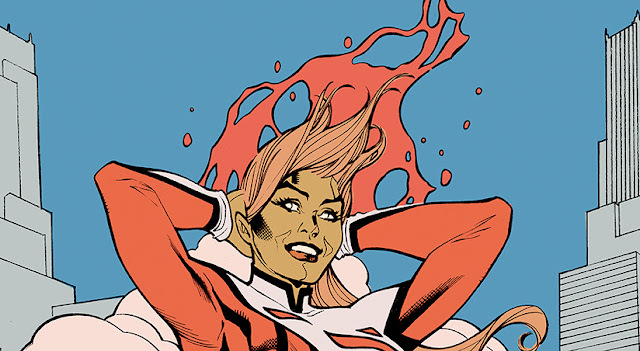 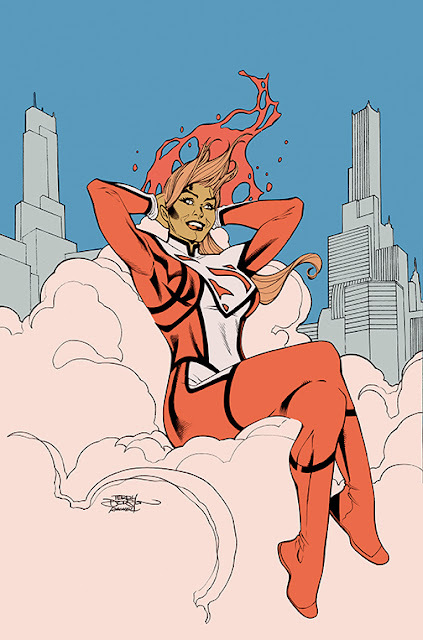 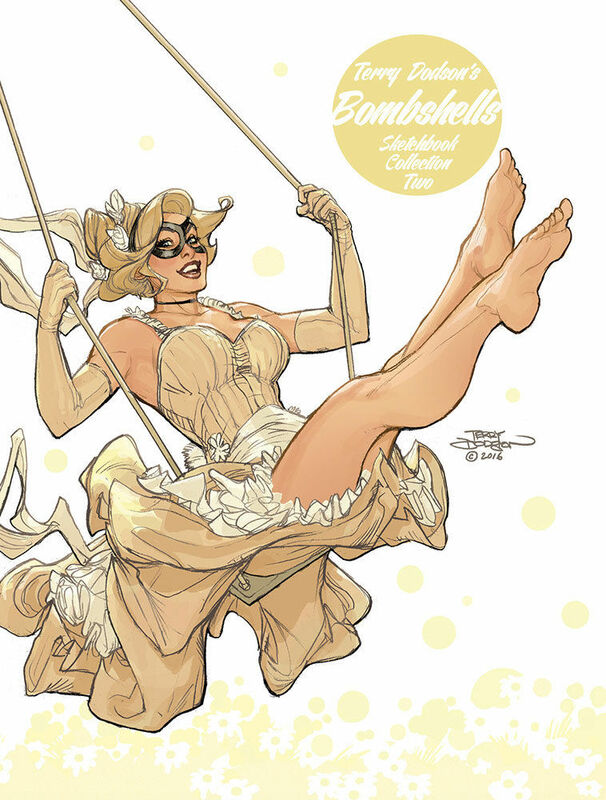 Pencils and colors by me, inks by Rachel Dodson. At this point just quickly roughed in the drawing making sure the composition still help. Now I started to refine the figures and concentrated on getting Han "right". 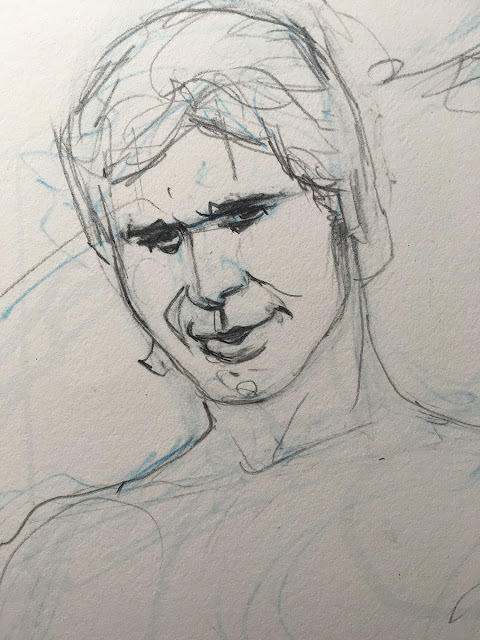 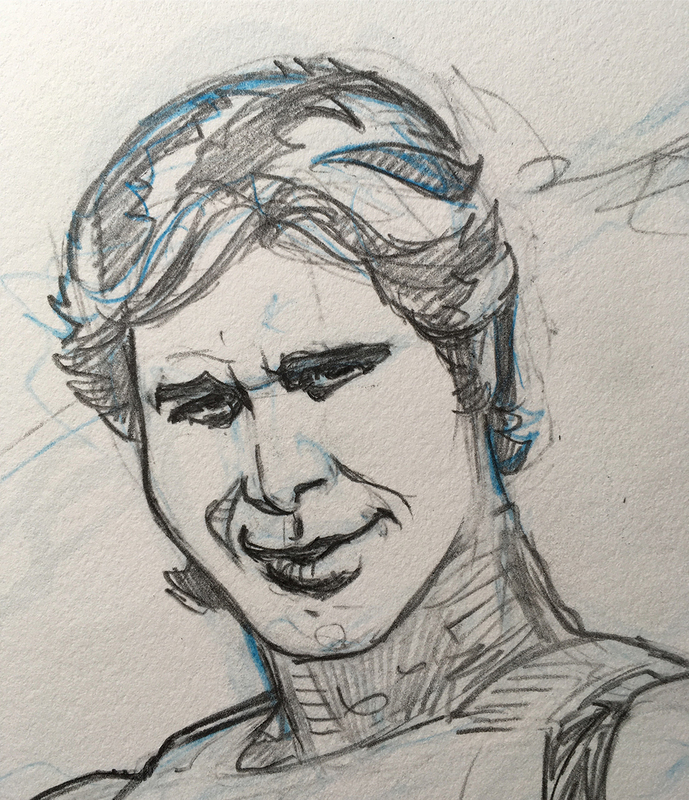 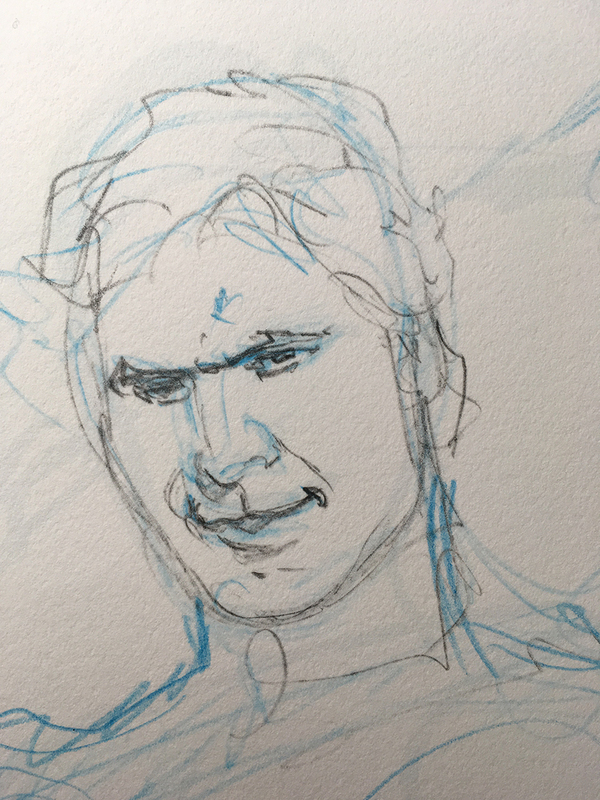 At this point I found 3 or 4 pics of Han that were either similar angles or expression and used to correct. 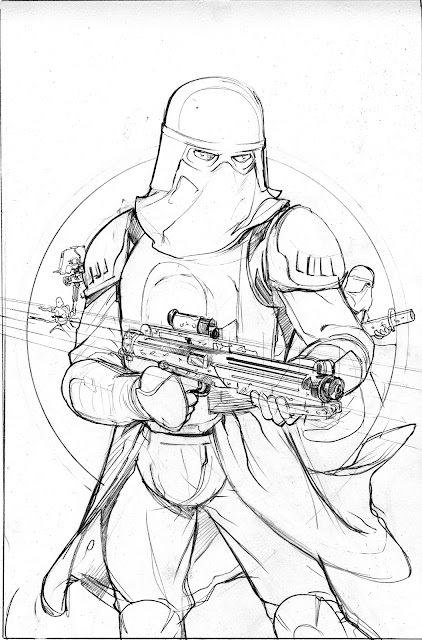 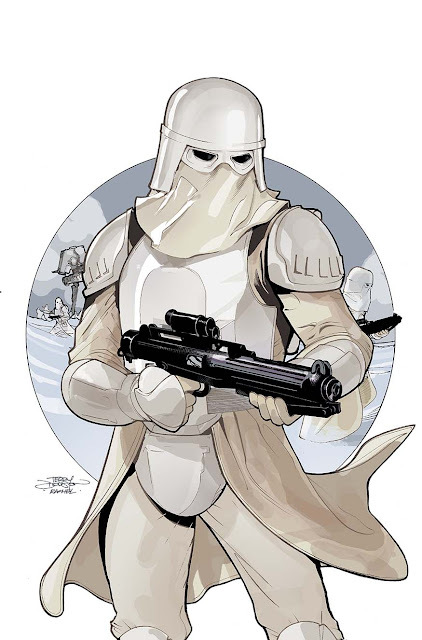 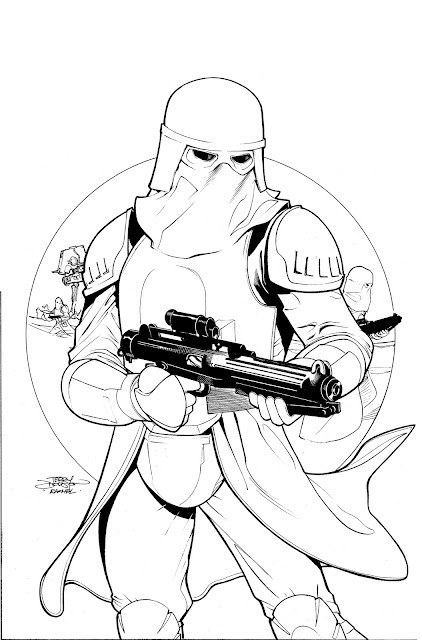 Sometimes you just gotta make the donuts - and that is THIS- drawing the nuts and bolts of the Stormtrooper outfit. 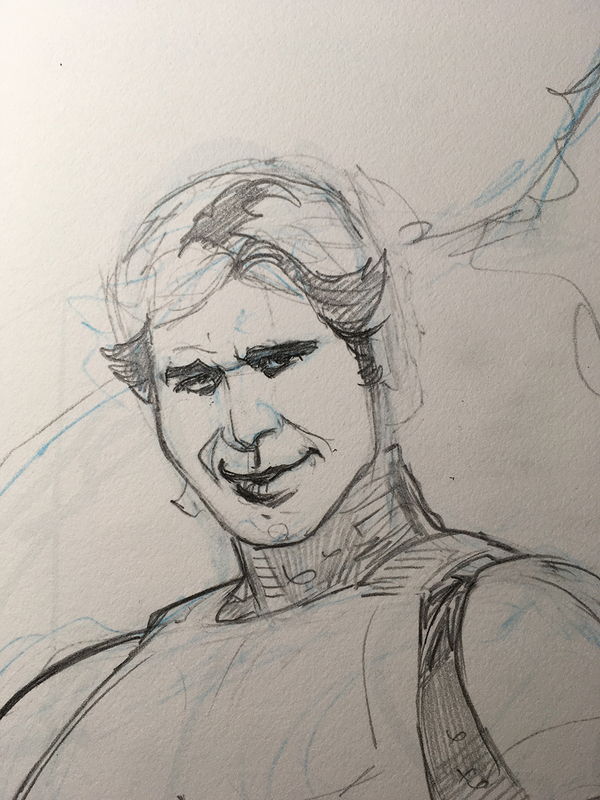 Refining Han and moving my way down the outfit. 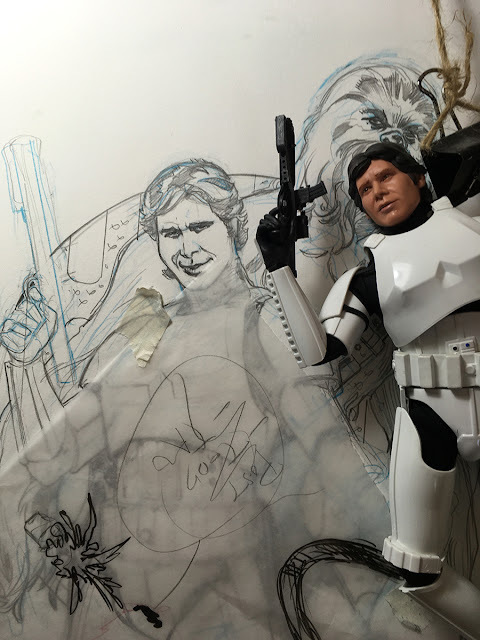 Back to finishing up Han's head. 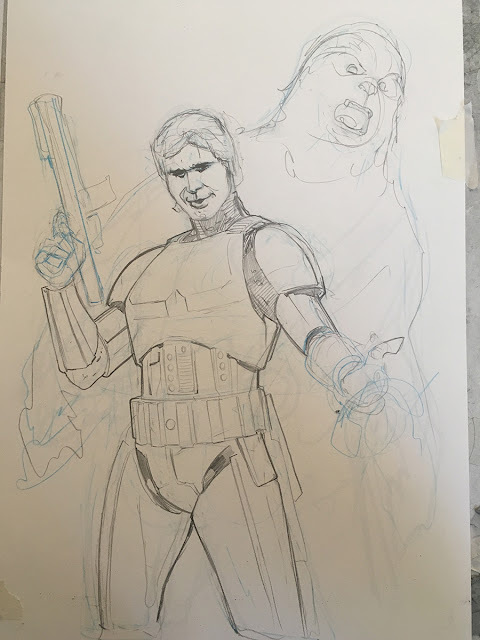 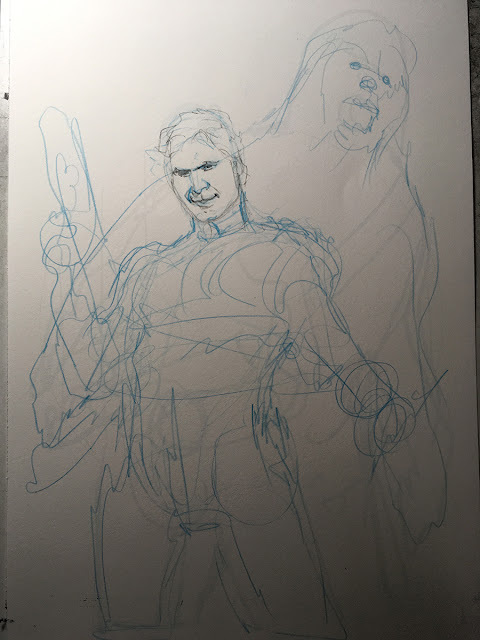 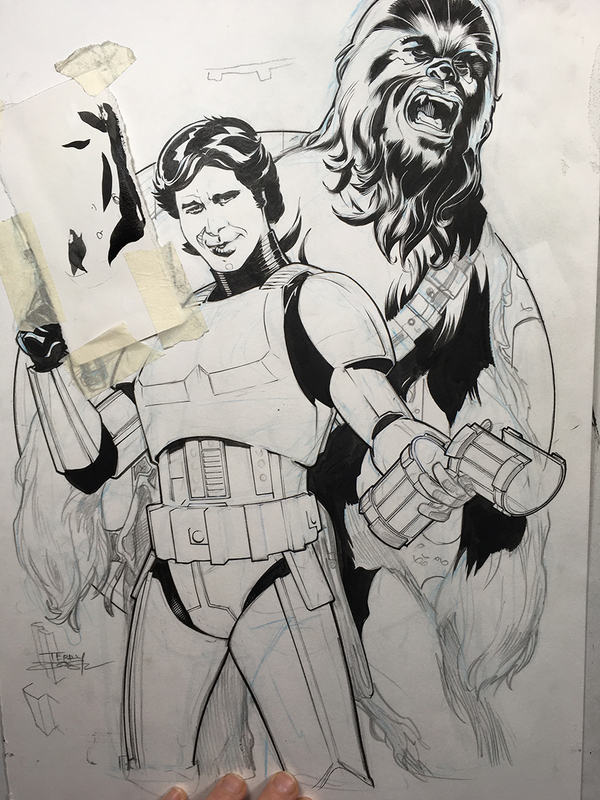 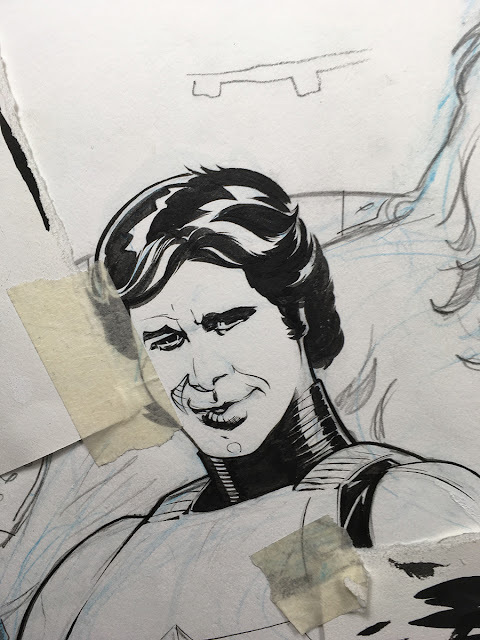 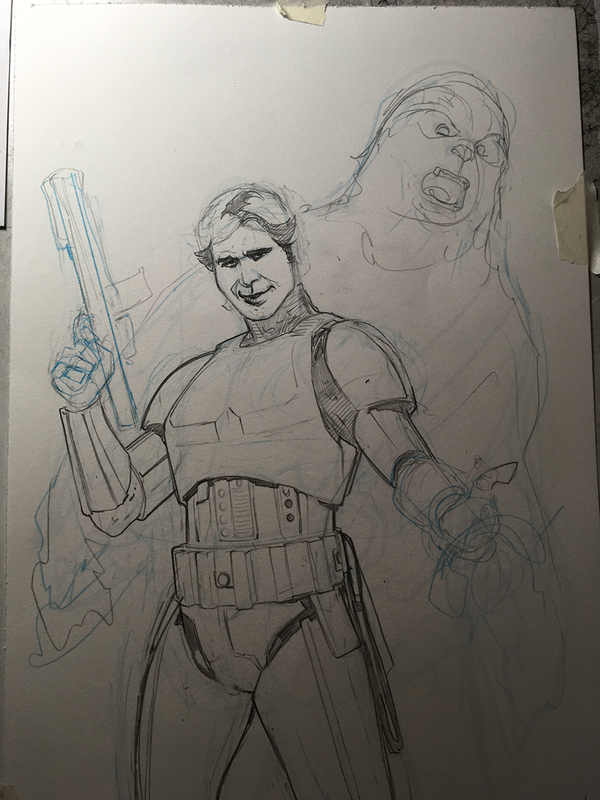 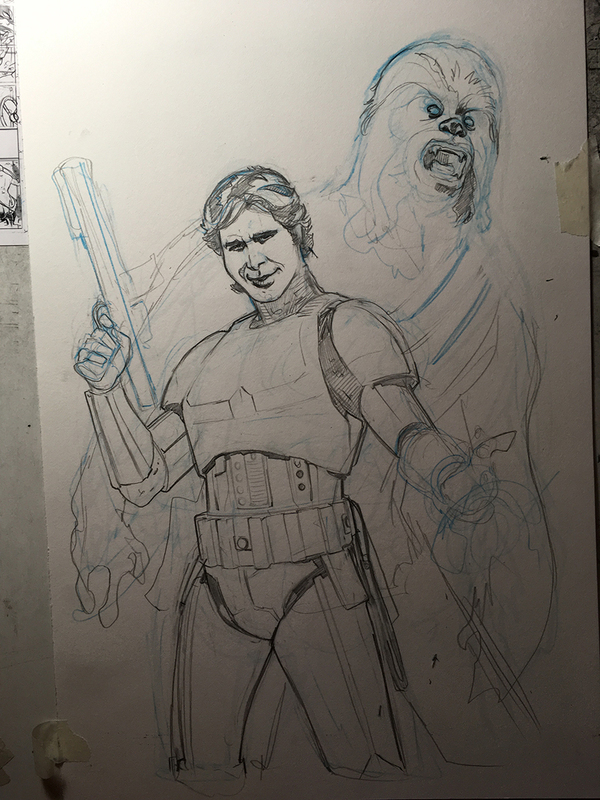 Switched to working on Chewbacca a bit. 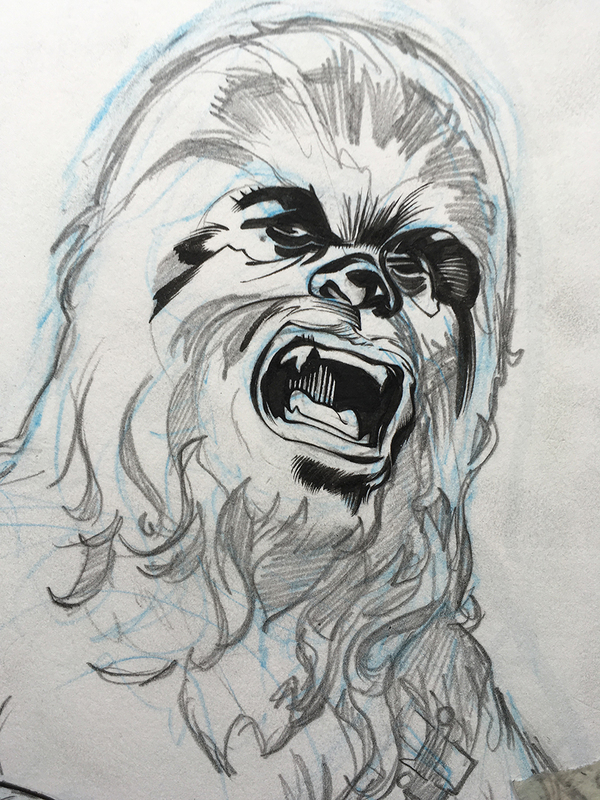 Did the same thing, found 3 pics of Chewie either at that angle or screaming to get right. I find with Chewie, getting the eyes correct is most important! 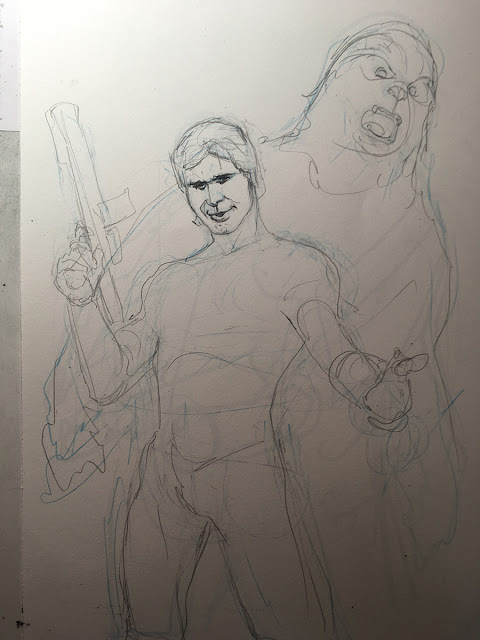 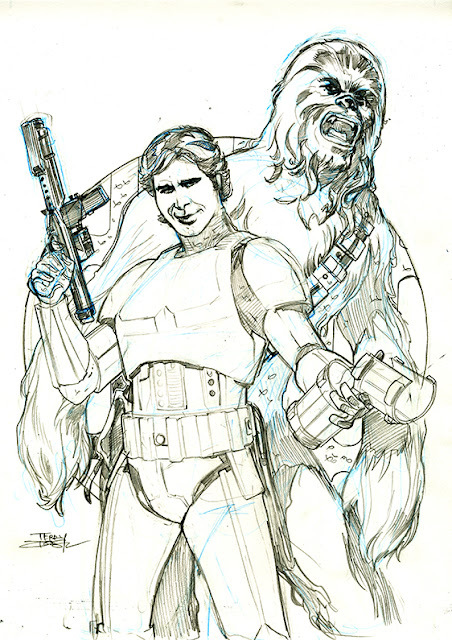 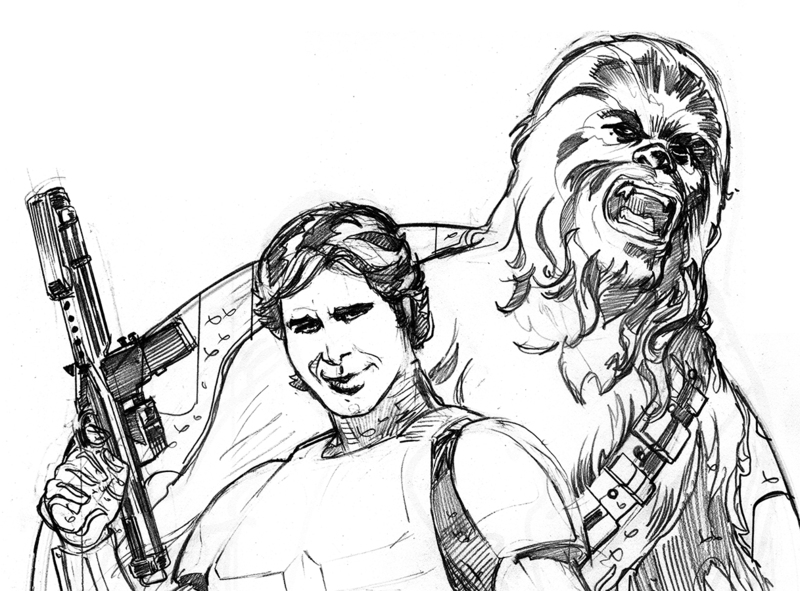 Nailed down Chewie, not time to get that gun just right - if you have good reference, USE IT! 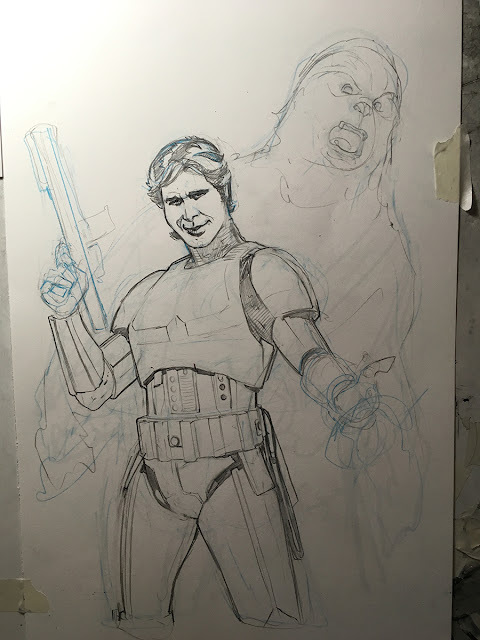 Just about done - just need to draw in that background. Here I adjusted the colors slightly to make them blend together bit better. 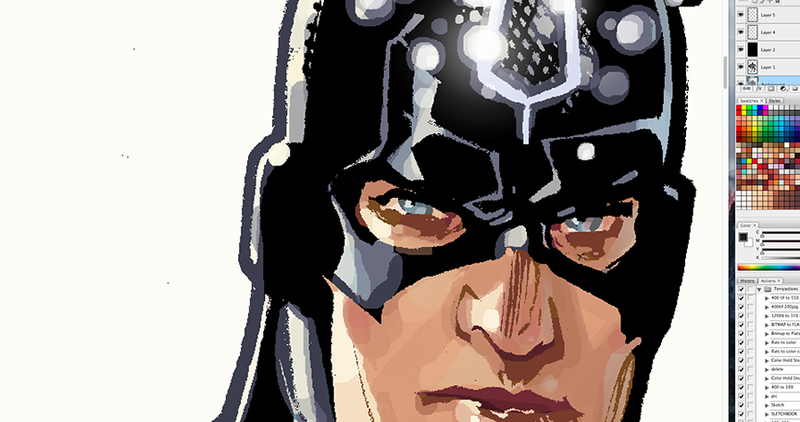 Added more lights and darks with the Pencil tool. 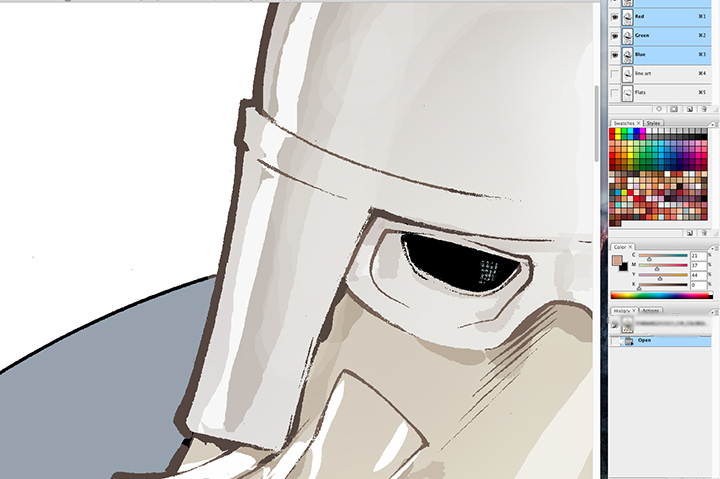 And began adding variation in the shadows to show the environment. Lassoing and using the Gradient in the background. Finished coloring Line Art and added "fiery" highlights on head! All done, this is the version I sent to DC Comics!